Commonly mistaken for an oversized spokeshave, the #80 scraper slices the wood in a similar way to, but not the same as, a plane. 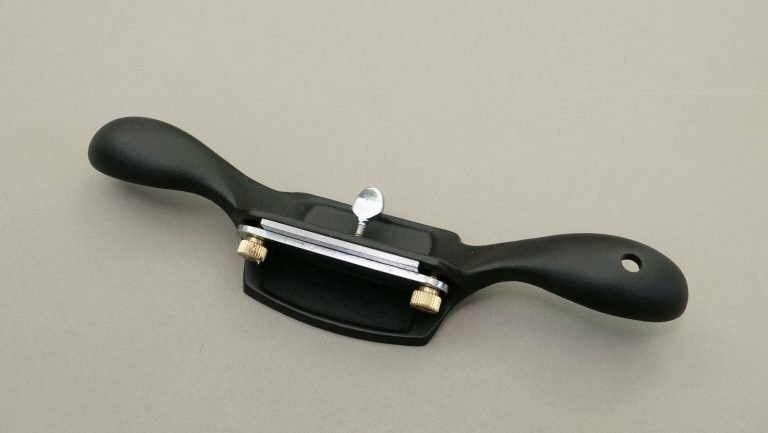 Despite the tool’s name, the scraper does not scrape as such but cuts ultra fine shavings. This double handled tool is used in a push motion to remove very fine sections of surface material. As the #80 scraper slices so thinly, it can be used as an alternative to sandpaper to finish. The finish can sometimes end up too smooth and you might need to go over the wood with sandpaper to add surface texture (tooth) which allows paint, varnish and other finishes to stick. 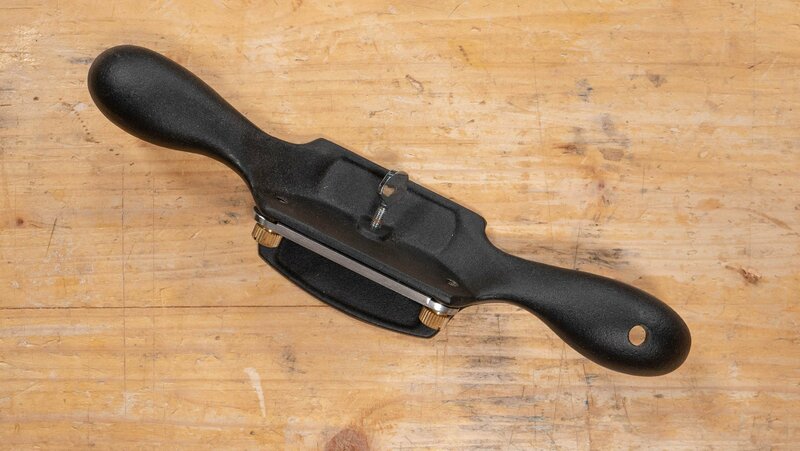 This tool is ideal for smoothing a small area on a near-finished project. For instance, if there were a small defect in the middle of a table top, a scraper can be used without much risk whereas using a plane may result in torn grain. A scraper only takes fine shavings so it is not used for generally changing the shape of boards or preparing rough stock for use. However, it can often be used to remove small undulations more easily than a plane and works particularly well on difficult grain, this is grain which surrounds branches which causes the grain to become more varied rather than straight. Difficult grain is often encountered in what is known as ‘figured woods’ which have a diverse grain pattern, like curly maple and others. As a scraper can work against the grain, it can help to create a smooth surface which is made up of narrower boards with varying grain direction. Due to the housing that the blade is in, this #80 scraper can be used to level a surface with minor surface bumps. However, it is limited by its holder and it cannot be focussed to quite the same level as the card scraper which can be used over a finer and much more localised area. 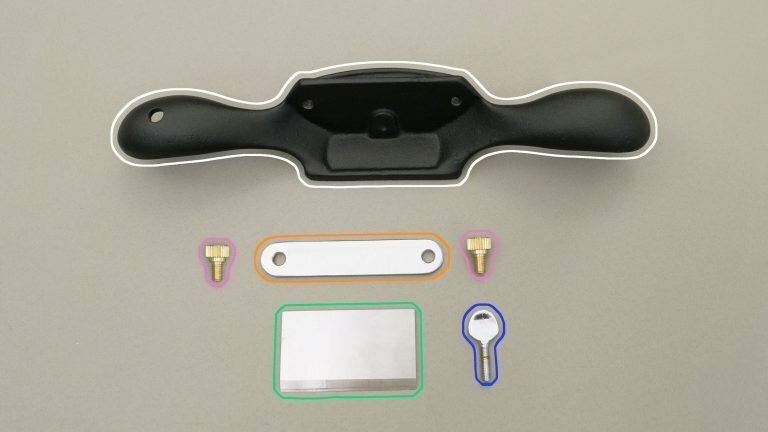 Why 45° on Cabinet Scraper Blades? Axminster’s Cabinet Scraper- Uh Oh!